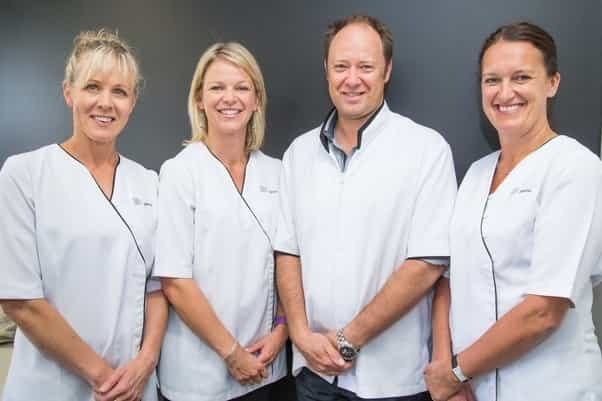 When asked for some hot tips, the Duxton Dental team shared some inspiration: Hygienist Megan is an advocate of eating a well-balanced diet, low in sugar and refined carbohydrates. The dental benefit is a reciprocal relationship. If you eat well you will have healthy teeth and gums; if you have healthy teeth and gums you will eat well and enjoy a variety of foods through your whole life without dentures. Dr Rhonda Gooding shared the knowledge that poor oral health has been linked to heart disease, clogged arteries, strokes and pregnancy complications. She says the mouth is a window to the rest of your body and can help detect early signs of systemic diseases, e.g. mouth ulcers are a symptom of coeliac and crohns disease or nutritional deficiencies. Taking care of your oral health is an investment in your overall health. Hygienist, Micayela thinks great looking teeth need great looking gums. She suggests regular hygienist care to remove stains and tartar in conjunction with brushing twice a day and flossing every night. Recent research out of America proves that every $1 spent on dental prevention (such as hygiene visits) saves $8-$50 on dental treatment long term. Dr Christine Duxbury firmly believes in the value of a friendly smile. Feel confident that your teeth and smile look healthy and attractive. Seek professional help to achieve the smile of your dreams and love your teeth for life. For more information, visit www.duxtondental.co.nz or phone 03 348 5488.